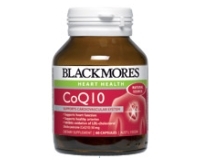 Blackmores Cholesterol Health™ provides a relevant dose of plant sterols. It may help support healthy cholesterol levels and contribute towards a healthy heart. - Provides a relevant dose of plant sterols. 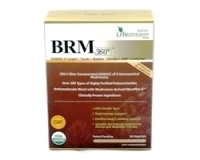 - Proactive aid in conjunction with diet and exercise. Cholesterol maintenance is an important part of many people's diet and lifestyle regimes. Blackmores Cholesterol Health™ contains plant sterols which help to reduce cholesterol absorption. It also contains betacarotene, as betacarotene absorption may be reduced when taking plant sterols. Plant sterols are fat-like compounds with a chemical structure that is very similar to cholesterol. However compared to cholesterol, plant sterols are only minimally absorbed. They are naturally present in everyday foods especially in vegetables, fruit, nuts, grains and cooking oils. During digestion, the plant sterols compete with cholesterol for absorption. What this means is that less cholesterol is absorbed and more cholesterol is excreted. Blackmores Cholesterol Health™ is for people concerned about their cholesterol levels and is a useful proactive aid in conjunction with diet and lifestyle changes. Not recommended for use during pregnancy & breastfeeding. If already taking cholesterol medication see your doctor before making any changes.